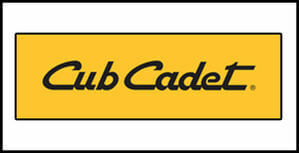 The Cub Cadet steering wheel zero turn range offers something that cannot be offered by machines using the levers. That is ultimate control on slopes whilst maintaining the ability of a zero turn mower. For anyone that has driven a zero turn with levers before will understand that on hills they can fall away at the front when going alongside them. A steering wheeled version is much more stable and secure on the hills which may be ideal for your property, these mowers can go on 20 degree slopes! Powered by a generous 27hp Kohler Confidant V-Twin OHV EFI engine makes mowing a breeze. EFI (electronically fuel injected) technology means theres no choke operations making it so easy to start! 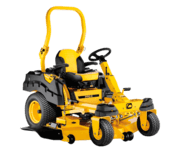 Fitted with a mammoth 54" heavy duty fabricated cutting deck allows you to cut more grass in a shorter period of time with a deck designed to tackle large areas. Comfort is also an important component when using machines for a longer period of time. 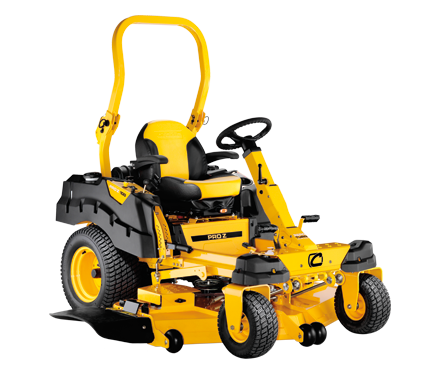 Cub Cadet recognises that by equipping the mower with a professional grade high-back seat it will minimises vibration and increases comfort for the operator. Dual HydroGear ZT3400 which is of a commercial quality, with charge pumps. Synchro-Steer technology allowing all four wheels to steer eliminating turf damage and unmatched hillside stability on slopes up to 20 degrees. Twin 15.14 L tanks, so 30.28 L in total! Allowing you to mow for longer periods of time. High back seat for the ultimate comfort and dial suspension to help eliminate the bombs on rough terrain. 3yrs on the whole unit and 3yrs on the engine. The massive 27hp Kohler engine is both reliable and easy to maintain. The larger air filter means more power and longer life for the engine! The large deck means that you can tackle larger areas in a shorter period of time meaning you can maintain your property more efficiently. This gives the machine 4 wheeled steering. Meaning when you turn using the front tyres the rear also slightly turn helping to eliminate turf damage. Meaning you can use these machine machines on nice areas of lawn and grass without ripping up the surface. It also gives you unmatched stability on slopes up to 20 degrees. A large fuel capacity is at the engines disposal allowing it for run longer in-between fuel stops! 30.28L in total means you can mow for a very long period of time!